Tell us a little more about what inspired WikiDo. We are from Dicomano, a very little town near Florence in Tuscany. We come from a family of farmers. Our grandparents had pigs, cows, rabbits, chickens, etc… and passed all the day working in fields producing oil and wine. About 26 years ago during the Christmas festivities “nonno Gigi,” our grandfather, sold a pig to buy the first computer for his nephews. It was a Commodore 64. He had no idea what it was, but he was so happy for Giuseppe and I. We started learning the basic language and we have continued studying Computer Science at the University of Florence. Some years ago, after missing some events in local towns around us, I realized that there isn’t any website that publishes all the events and what’s going on around you. Thousands of events websites already existed but each one have only few events published. At that time I had just bought the “Natural Language Processing with Python,” an O’Relly book, and so we started thinking about the English version of WikiDo. 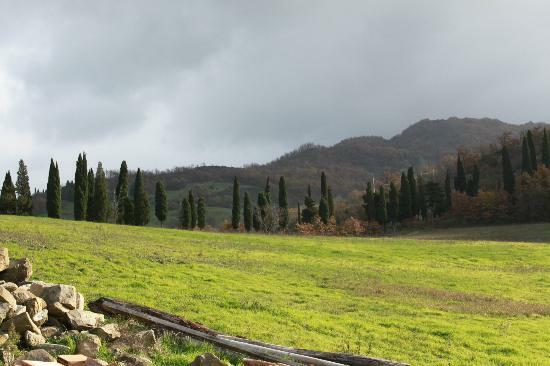 Today Niccolò is living in the farmhouse with his family, with some animals and surrounded by fields. A few years ago Giuseppe moved out to Pontassieve, a larger town near Dicomano. Actually we work part-time as developers in Florence for half of our time. Niccolò at the Accademia della Crusca, an Italian institute about culture, building linguistic search engine. Giuseppe works at Micc, a laboratory of the University of Florence, for European projects about data mining. In the other half-time we are currently working on WikiDo. We have a small office in Dicomano, where we meet generally on Tuesday and Thursday afternoons. Otherwise each one works independently and with no-time schedule. Giuseppe prefers working during the night and Niccolò during the early hours in the morning. How is the tech scene in Italy? In Italy the main idea is that guys have to find, as soon as possible, a job position that will be the same for all their lives. It’s called the “posto fisso” culture and so turnover practically doesn’t exist in job positions. Family relationship is very close and really strong for Italians. It’s rare that people move to stay in another city and the same thing happens in the companies lives. A year ago I quit a part-time job position in a middle size software company in Florence, to concentrate more of my time on the WikiDo project. This company is 20 years old, it has 50 employees and I was the only one that decide to quit in the last 5 years. And for me it felt like leaving home. Another issue is trying to do something that’s difficult so it’s very probable that you will fail. For the Italian culture, if you fail you are a loser and so it would be really difficult for you to find another job. Under these conditions, and with a bureaucracy that has remained like the time of the Roman Empire, it’s hard to create startup activities. For example, Berlin has twice the numbers of incubators and startups than all of Italy. What was the last coolest event that happened in your area? Dicomano, the very small town where I live, has just four main events during the year. We have the “Fiera di Maggio” in May. It’s an old farmers event with many animals, especially cows, and things to eat. We have another “fiera” in October concentrated on chestnuts and the “Rificolona,” a religious parade with handmade decorated carts and lanterns, in September. Last we have a carnival that’s quite popular in all our area. When I was 16 years old I won the “best single mask of the carnival reward,” with an ostrich mask. It was about $180 (300.000 Lire) and for me it was as winning a lottery! What is the best/worst thing about working with a sibling? If you aren’t a serial entrepreneur, and you start with a crazy idea to build something, generally, day after day, you will have bad news as you haven’t evaluated correctly the size of the market, discover other very smart competitors, etc. It’s too difficult to make what you want – Google has introduced the panda/penguin and your site has no hope to get visitors, other big companies have introduced the same service you are developing, etc. In this situation, it’s really important to work just with people that you are sure of their integrity and you really trust. So it could be a good friend or brother. But it’s very important that you share a long-vision about what to do with your partner. It must not be the euphoria of the moment or just because the project appears so cool now. If you respect this criteria, it’s certainly better to work with a sibling or a friend. For me it’s really ok, and I haven’t got any negative subject to talk about. However I know other situations in which working with a sibling has been a really terrible experience. The best people I have ever known are Ted Tunning, a really passionate Hadoop and Mahout commentator that I met at the Berlin Buzzwords conference, and Paul Natsev, an IBM researcher that was in Florence at ACM Multimedia 2010. Both of them were a mix of humility, participation and skills. Certainly what everyone wants to become. A year ago, I would have answered this question with one of these name or probably Guy Kawasaki. During the past 3 year I have worked on machines learning algorithms, and have seen hundreds of videos about business models and startups everyday. Probably for me it would be more useful to have dinner with a person who has a completely different background. Maybe an old fisherman or an old pirate, like Jack Sparrow, that could tell me all his sea life adventures. 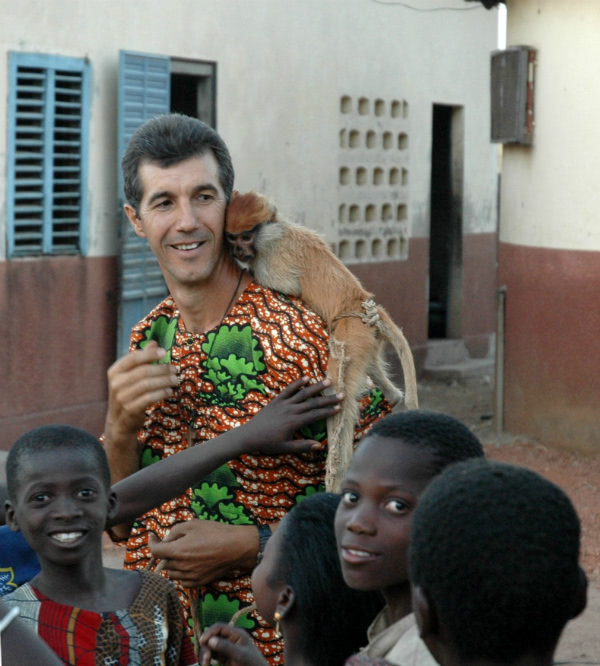 Another possibility is Père Daniel Petelin, an Argentine Christian missionary that I met some years ago in Bagou, a really poor village in Benin, Africa. He was able to create something that’s indescribable, transmitting happiness and energy to everyone he spoke to. He was really loved by the all the Muslims in Bagou and by the local Voodoo community. He transformed Christmas into a party for all the village, not only for Christian people (see the pictures). It would be a pleasure to hear some stories about Africa or pirates before starting to work on code again, going to any conference about machine learning, search engines, hadoop, startups, etc., for many years to come. Choose something to do that you really have a passion for. You would have to dedicate so much time and energy that if you haven’t got enough passion you cannot certainly persist to arrive to any result. Market: Be sure there is someone really interested, that could take out money from his wallet to buy your service/object. Partner/Collaborator: Must be sure of the integrity and is an eager person. Change the world, it’s too hard. It could be for Nelson Mandela, Gandhi or other really unique people. For a startup it could be to make the world a bit better. Probably Google, as the search engine, because without it Internet wouldn’t make any sense. Another site I really couldn’t live without, Astieto. It’s my mom’s B&B and some of the guests’ proceeds are helping to pay the WikiDo server at Amazon. 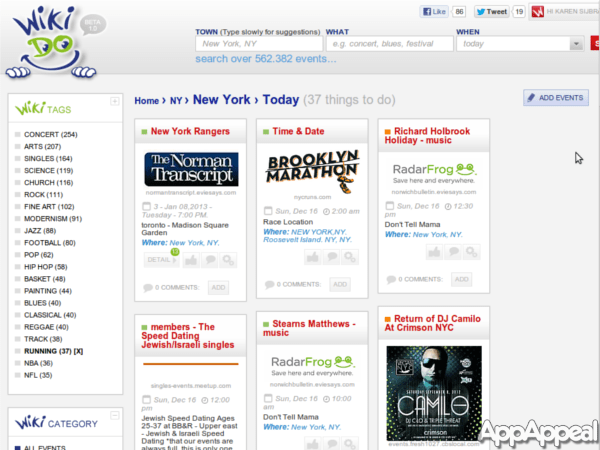 My favorite radio-streaming is the pippobaudos radio, my personal radio station on last fm. It’s the result of about 50,000 plays and is a mix of brasilian, celtic, folk, indie and rock music. My last loved track was Medwyn Goodall – Viscacha, a Peruvian melody. What’s the greatest thing about WikiDo? The current Beta has many bugs and noise data but visitors are increasing, hopefully because they find it useful. Even though Wikido is essentially a specialized search engine, the application has a lot of potential. 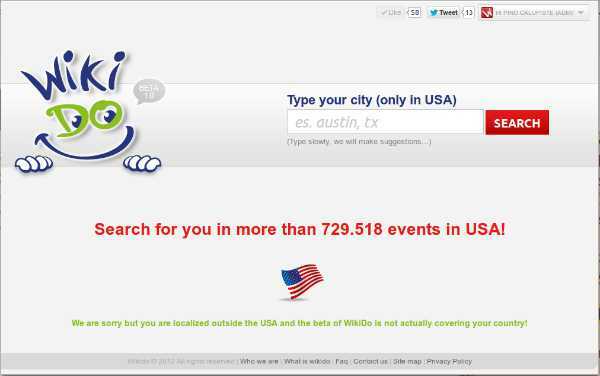 It offers a unique way to view results and see events in any city. The service appears to list many diverse gatherings, even in small towns that are not often well-covered by other applications. 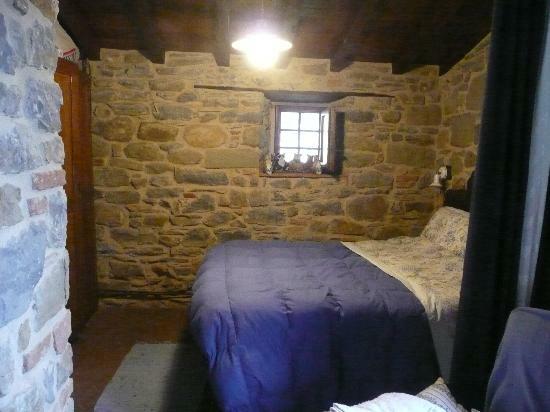 I am on Twitter at @pippobaudos or, if you want to finance WikiDo, you can come visit Tuscany and stay at the Astieto B&B. Thanks guys! I might just take you up on that Tuscany offer. You don’t have to ask me twice to travel. And, happy to support WikiDo! Readers, be sure to check out the site, find out what’s going on in your hood, and get out and explore.